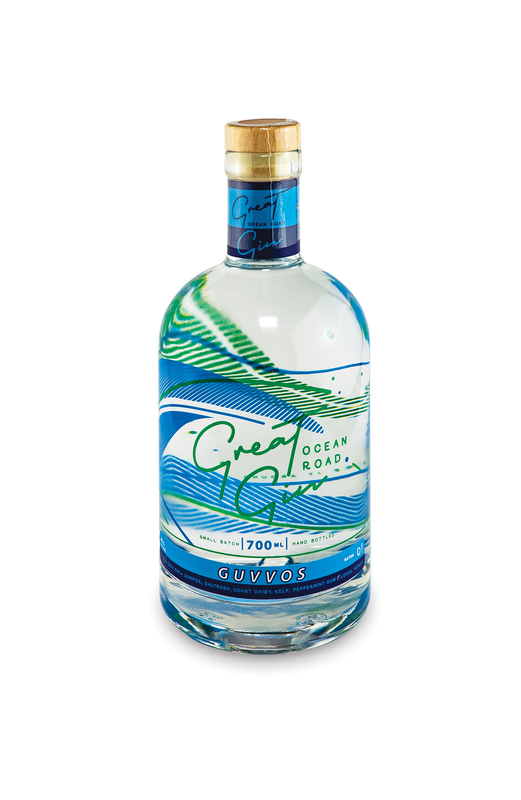 Guvvos Gin is the first in a series from Great Ocean Road Gin – and a modern take on a classic dry style. It’s citrus forward, with a hint of salt. 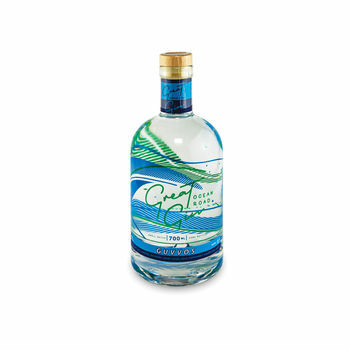 Guvvos Gin it’s a lovely, clean, bright, & luscious citrus gin with savoury ocean notes. It has crisp clean juniper, well balanced and with a lovely hint of honey on the back palate. Guvvos Gin is named after a local surfing haunt near Point Roadnight, on the Great Ocean Road on Victoria’s southern coastline. 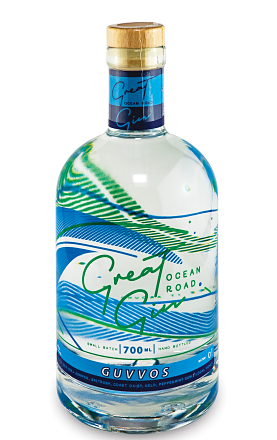 Each Great Ocean Road gin will be named after specific destinations on the coast that have meaning to the maker. 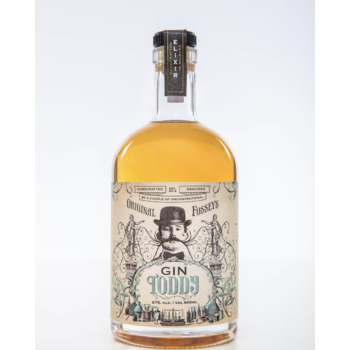 This first gin is affectionately called Guvvos which is the favourite surfing spot of the distiller’s daughter. It is situated along a beautiful and rugged stretch of coastline, where she walks her dog and forages for kelp. 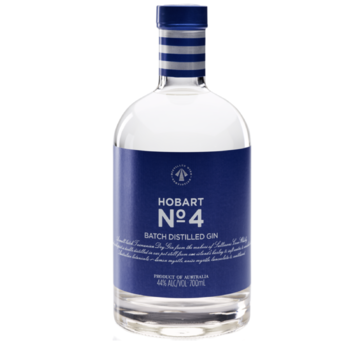 24 Botanicals:There are 24 botanicals, 9 of which are local – coast daisy, ruby salt bush, coast salt bush, hop wattle, pigface, kelp, two indigenous eucalypts and Surfcoast Honey produced in Torquay. Local lemons, limes and lemongrass are also sourced when in season. Serving suggestions: The complexity of the gin makes it a delicious sipping gin straight, or on ice. Guvvos also sits very nicely with tonic as a classic G&T, allowing the citrus and salt to carry through nicely with a premium tonic. Serve with a slice of lemon, or lemon peel. Cocktail suggestions: Guvvos also serves as a delicious gin base for cocktails, including the classic Negroni, Martini or Gin Old Fashioned. With a Martini, given the citrus forward nature of the gin, the combination that works best is a 6:1 dry martini with a lemon twist. With a wink and nod to the Torquay honey botanical, Guvvos makes a fantastic Bees Knees. In 2017 with her family in tow, Ann Houlihan decided to quit her job and make a sea change to Anglesea. 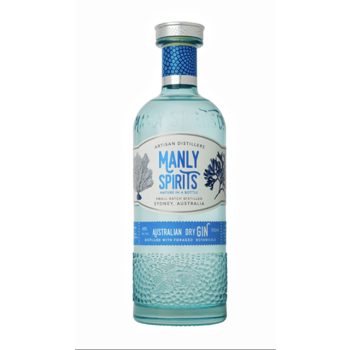 With a long association with the Surf Coast as a regular weekender and holiday maker, she wanted to develop her own business making premium craft gin. Having worked in the Australian food and drink industry for over 20 years Ann wanted to be part of the thriving food scene on the Surf Coast. 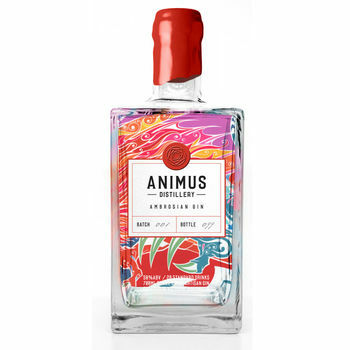 The natural environment and rugged beauty of the Great Ocean Road are the inspiration for Ann’s artistic approach to the creation of her gin. 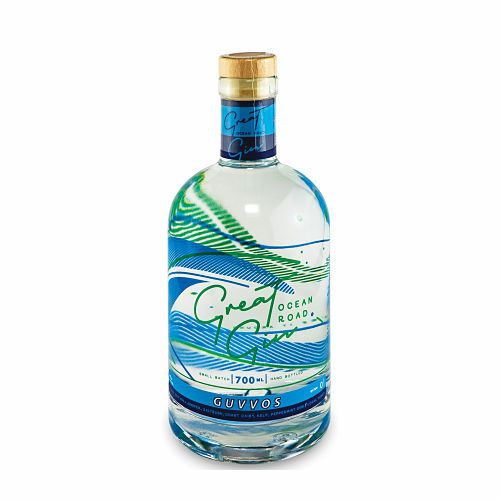 Great Ocean Road Gin is a nostalgic nod to her favourite place in the world. The R&D and production of Great Ocean Road Gin takes place on a 180 litre copper pot Carl Still at a makers incubation hub in Melbourne called The Craft & Co. Each month distiller Ann collects her botanicals, packs up her car and heads to Melbourne to produce and bottle Great Ocean Road Gin with the support of head distiller Sebastian Raeburn. Each process and every step is completed by hand with love and care. Ann’s long-term plan is to establish and have her own beautiful still on the Great Ocean Road, whilst in the short-term (late 2018) plans to have a tasting room and gin garden at Aireys Inlet, a little coastal hamlet approximately 1.5 hours from Melbourne on the way to Lorne, along the world-famous Great Ocean Road. 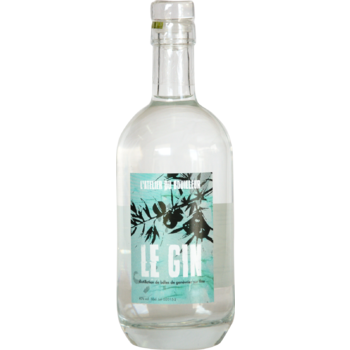 We stumbled on this gin at a farmer's market on the Bellarine Peninsula, and although we don't typically imbibe at 10 am on a Saturday (! ), we did have a taste and immediately knew we had to buy a bottle. 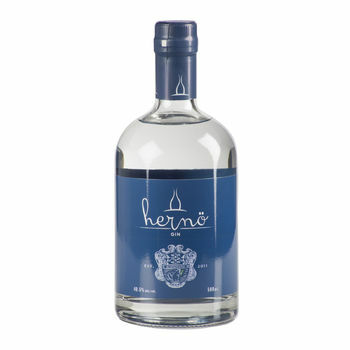 A lovely, refreshing gin, not too strong or harsh, but with enough distinct flavours to cut through the tonic in a G&T. 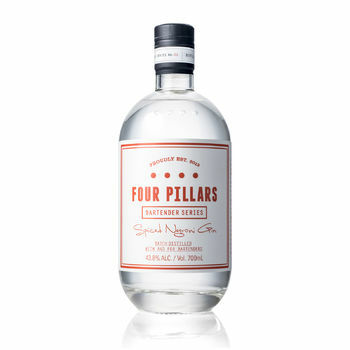 Also nice straight up :) Will probably buy a bottle for my gin-loving sister-in-law for Christmas - and throw an extra bottle into the order just in case! 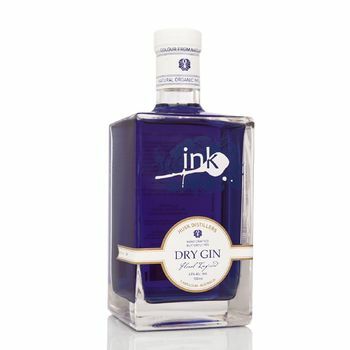 Lovely gin, not too bold and very well balanced. We knocked this bottle off far too quickly, oops!